No, I did not hunker down at a new, trending NYC restaurant. 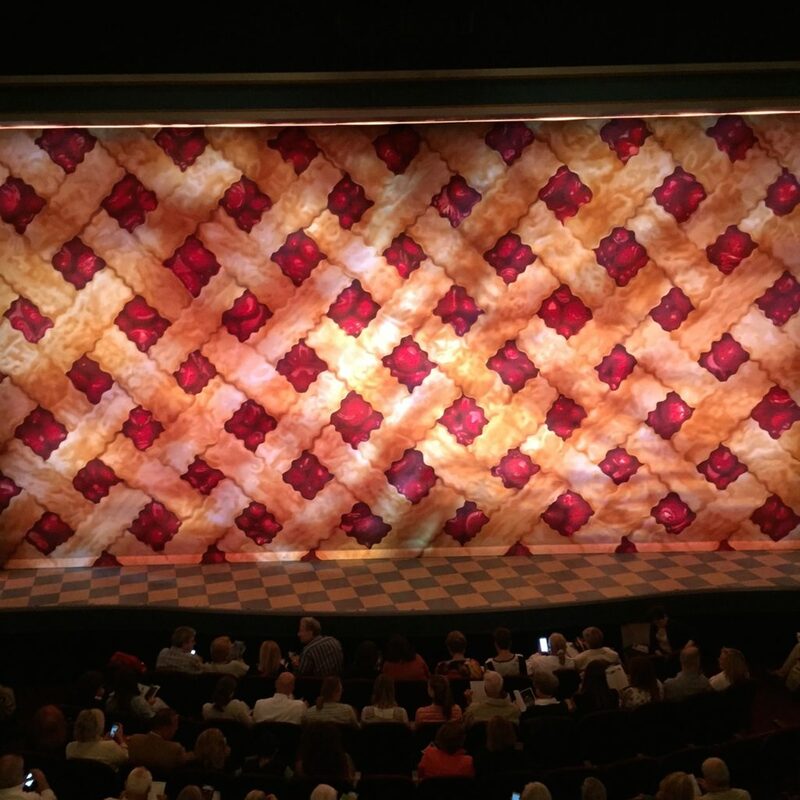 I mixed things up and took in the Broadway hit musical, Waitress. Based on the 2007 independent film of the same name which starred Keri Russell, Waitress serves up a warmhearted, embraceable show. Ben Stiller, wife Christine Taylor and their daughter, who were in our row, seemed to enjoy the evening entertainment even though hordes of people accosted Stiller for selfies. Headed by the talented Broadway darling, Jessie Mueller, the entire cast is exceptional. Jessie is a star. She won a Tony for her memorable performance as Carole King in the Broadway musical, Beautiful: The Carole King Musical which is still going strong. I just could not stop smiling. The show was as satisfying as a genuine display of affection. Sets, lyrics by Sara Bareilles, and a touching book make it a truly lovely experience. In recent years, I have not been as musical obsessed as appealing Broadway musicals are few and far between. Plays resonate more with me. 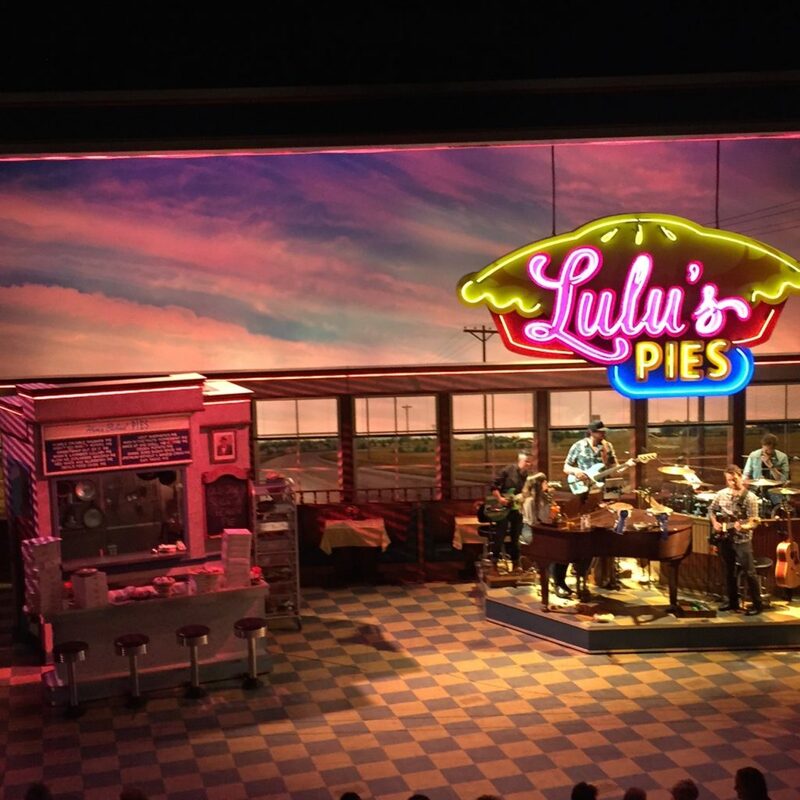 Waitress is not groundbreaking like Hamilton, but it is a tasty morsel that will spice up your night and leave you satiated. This is no pie in the sky trivial musical. I did crave pie afterwards, even though they sell jars filled with pie fillings at the theatre. 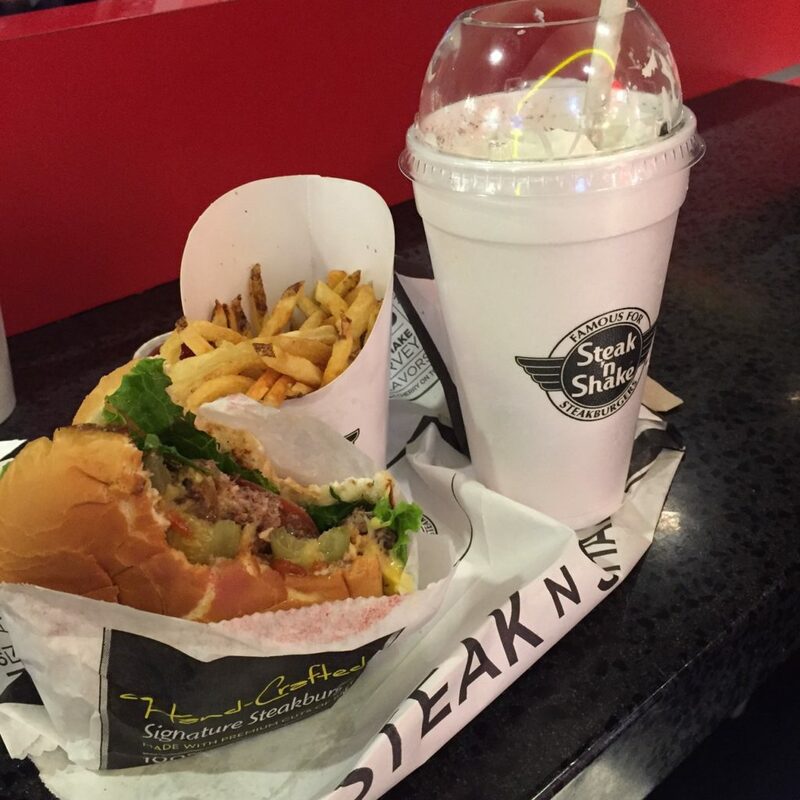 I settled for a surprising delicious steakburger at Steak ‘N Shake and even sneaked a sip of David’s Oreo Cookies ‘N Cream milkshake. Quite a tasty evening all-around. 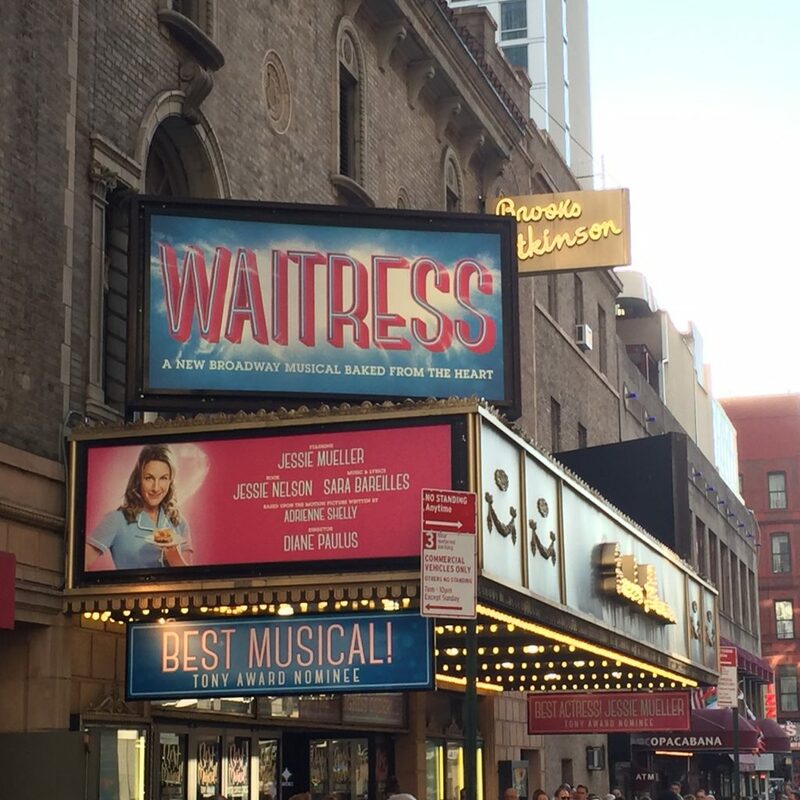 Waitress Brooks Atkinson Theatre 256 West 47th Street (between Broadway and 8th Avenue) New York City. Running Time 2 hours 25 minutes. Tuesday, Wednesday, Thursday at 7:30pm, Friday and Saturday 8pm. Matinee-Wednesday and Saturday at 2pm, Sunday at 3pm.